We asked Eliza Southwood to share her inspiration behind her Gold Winning poster illustration she entered to the Poster Prize for Illustration 2019, which AOI produce in collaboration with the London Transport Museum. Her multi-coloured screenprint was a clear winner of the top prize and has received much praise from gallery visitors, the jury of course, but also Jamaican communities in London. She has donated one of her hand-made prints to the Windrush Foundation who was very pleased with it. She has used some of her prize money on a printing press for linocut and etching and we are looking forward to see more of her fabulous output in the future. “There were several reasons why I chose the topic for my poster. Firstly, it was the 70th anniversary of the arrival of the Windrush in 2018. I also love the Lord Kitchener song, “London Is The Place For Me”, which gives its name to the title of the poster. I discovered that Lord Kitchener the calypso artist was on board the Windrush and sang this song as he came off the boat. It is a song full of optimism and enthusiasm, and is poignantly sad given that the Windrush generation did not have an easy time at all once they arrived in Britain. I am of course, white, and I questioned the sensitivity of illustrating part of black history, and a black experience of which I have no personal knowledge. But I feel very strongly about the current political climate of forced deportations which is affecting the Windrush generation, and more generally, a world-wide atmosphere of intolerance and rising racism. I wanted to make a poster that touched on a difficult topic but which would at the same time express a kind of appeal in the colours and the composition that would celebrate this generation of people with something beautiful. I grew up in a European country – Spain – and obviously feel very upset about Brexit and this new kind of hostility which seems to be infiltrating everything. I’m usually not political in my work at all, but the way I feel about the current climate is too strong to ignore. Usually I just try and sneak my little dog into my work whenever I can! I also felt that my poster should reflect the wonderful diversity of London. I don’t think diversity is represented often enough in my profession – there is usually only lip service paid to making illustrations diverse – so I was really keen to make something that would show for once a majority of black people instead of a majority of white people. I have decided to donate 20% of the sale of every print in the edition (there are 30 screen prints) to one of several charities that assist people threatened with deportation unfairly, by means of helping with legal aid or financial help. I will also donate a chunk of my prize money to charity. (I’m currently researching which one to approach. The Guardian did a big campaign for this cause over Christmas so I will investigate). 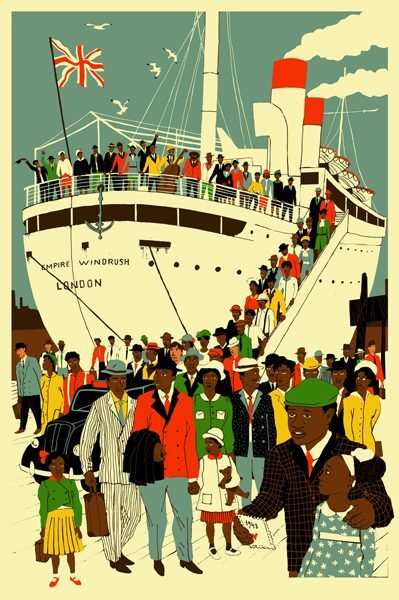 The Windrush Foundation will receive a print from me as well. I feel that submitting work for the Prize for Illustration is almost like a tradition. I am usually too busy to enter competitions, but I make an exception for this one – it’s London-centric, and I live in London so it’s a topic close to my heart. I’m 100% sure that being involved with the competition in the past (winning Bronze a couple of years ago, and then designing the poster for the competition) has enhanced my career immeasurably. Most of my work to date has featured cycling – I love the colours, the landscapes and the composition of the bicycle itself – and it’s what most people know me for. However I’m finding more and more that I get asked to illustrate all sorts of topics: currently I’m illustrating the social consequences of a stroke, Oxford colleges, people in tweed, a mythical landscape, an African festival and people shooting clay pigeons. It’s never boring! 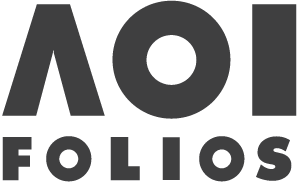 Find out more about the Poster Prize for Illustration.